Difference and similarity: a single gene controls more than one classical evolutionary result. 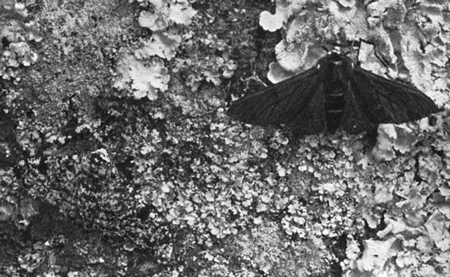 "The industrial melanism mutation in British peppered moths is a transposable element"
"The gene cortex controls mimicry and crypsis in butterflies and moths"
A transposable element insert in cortex is responsible for the classical example of industrial melanism in moths, where a rapid change in phenotype occurred in response to an (human driven) environmental change. 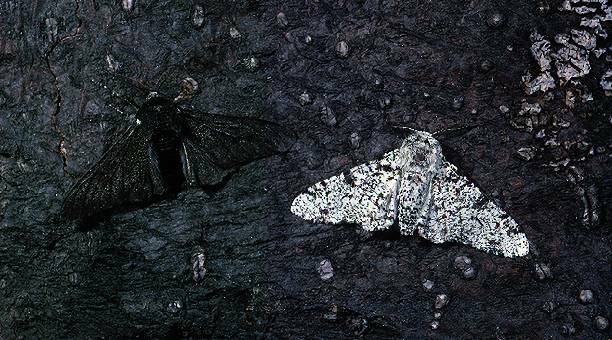 Soot from coal burning causing darkened tree trunks near urban areas of England over the 1800's making it harder for the lighter colored moth to evade predation; this trend later reversed in the 1900's (less pollution and more frequent lighter moths). This same gene is rapidly evolving and shown to be responsible for shifts in mimicry patterns (where species pairs, one or both of which may be toxic, appear similar to avoid predation, another excellent and now classic evolutionary example) in Heliconius butterflies. This entry was posted in evolution on June 2, 2016 by Floyd A. Reed.